Creative Gifts International, Inc. is a recognized leader in the gift industry as a wholesale importer and distributor. Our products are sold in some of the finest retail stores in the world. We sell wholesale only and not directly to the public. Our products are sold under the Sheridan and Taunton brand names, two of the oldest and most respected names in the silver industry. 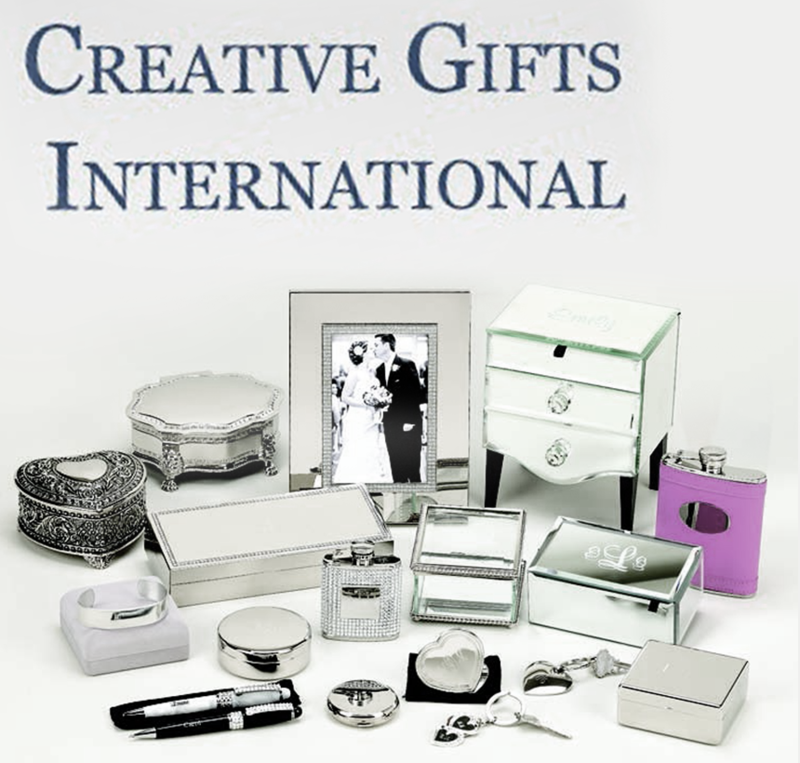 Creative Gifts International, Inc. started as a silver plated giftware company but over the years we have expanded our assortment to include non-tarnish metal, crystal, leather, glass and wood items. We offer engraving services ranging from personalized items up to whatever quantity is needed. Our engraving services include rotary engraving, laser engraving, debossing, foil transfer and sand carving. Among the programs offered by Creative Gifts International are drop ship programs as well as custom item programs. Creative Gifts International can meet your needs no matter how small or large that need may be!